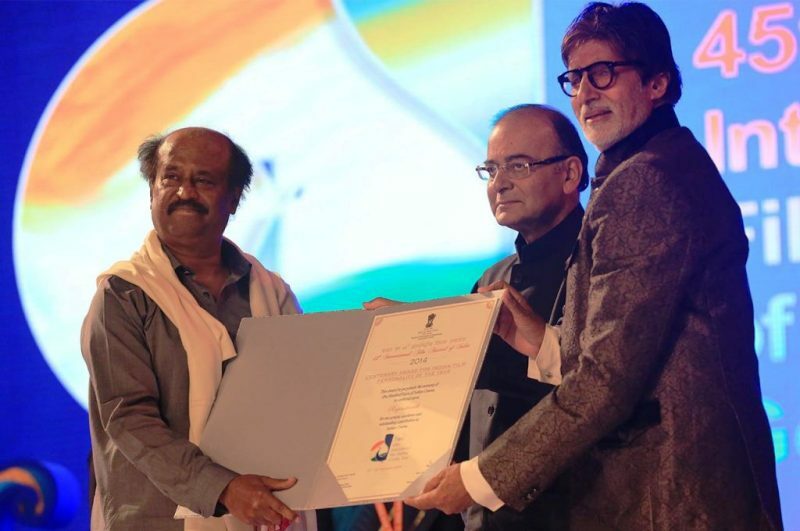 Rajinikanth is one of the most influential actors of India. He is predominately known for his work in Tamil Cinema. 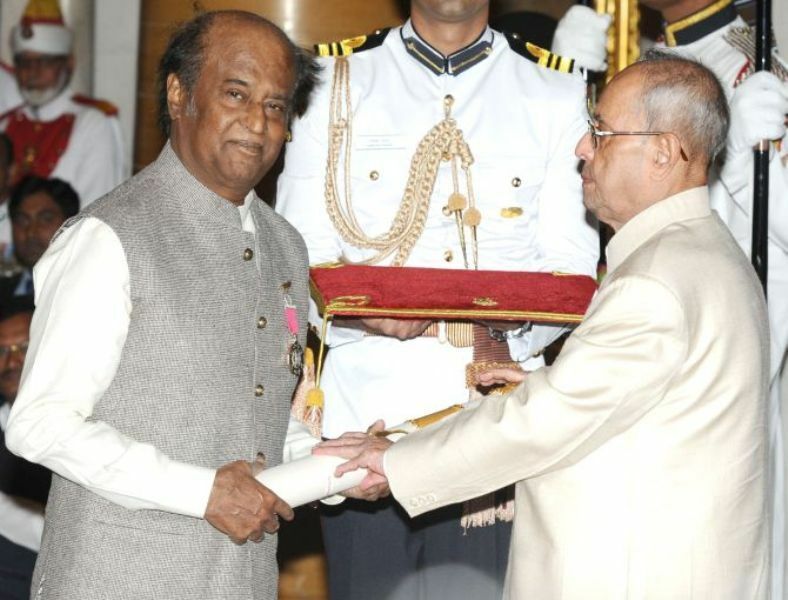 The ‘Thalaiva‘ is a Padma Vibhushan and Padam Bhushan awardee and has a huge fan following across the globe. His mannerism of delivering dialogues, his style, his action sequences, have altogether set a mark in the film industry. Let us dive into the life of this iconic superstar of India. Superstar Rajinikanth was born on 12 December 1950 as Shivaji Rao Gaekwad in Bengaluru, Mysore State (now, in Karnataka), India. 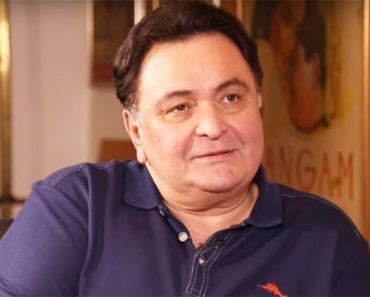 The 68-years-old (as in 2018) actor has been one of the most paid and successful actors of the B-town. Rajnikanth is a multitalented actor, producer, screenplay writer, and a philanthropist. He has a struggle story of his own. 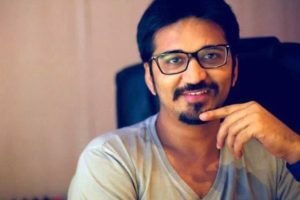 His life boarded a flight from being a ticket collector in Bangalore Transport Service to an actor with a huge mass popularity. 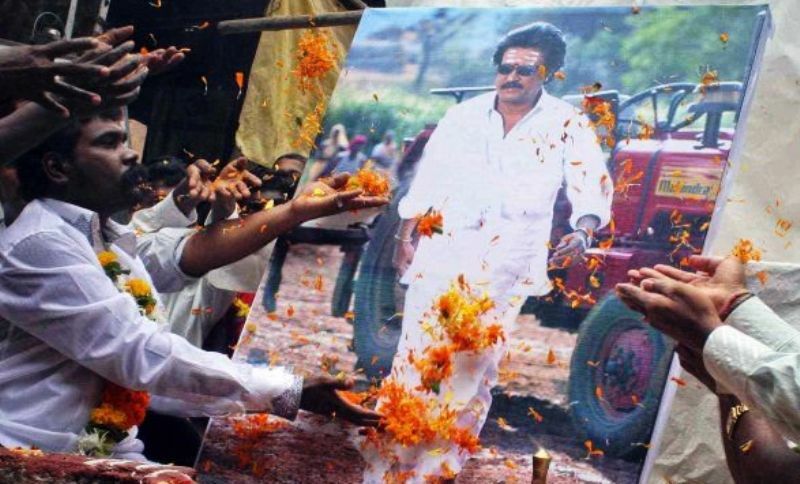 Maratha by blood and having roots in Tamil Nadu, Rajinikanth has worked in Kannada, Tamil, Telugu, Hindi, English, Malayalam, and Bengali films. His contribution to Bollywood has taken the film industry to a next level. He is a very humble, simple, and down to earth person. Rajinikanth has a charismatic personality. He is 5’8 tall and weighs around 75 Kgs. 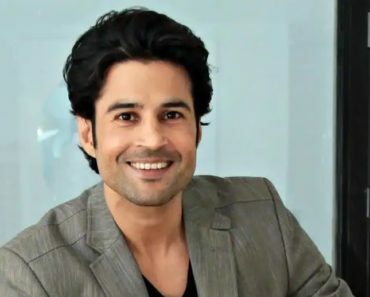 The actor has Dark Brown eyes and is semi-bald with Grey hair. 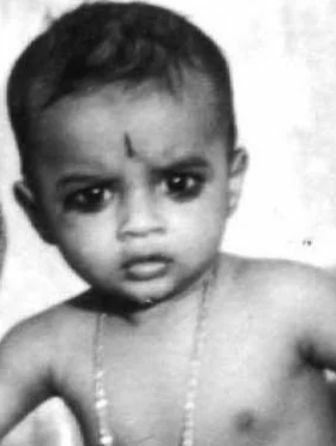 Rajinikanth was born into a Kshatriya Maratha Family but his ancestors were also Tamilians. 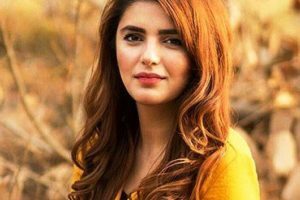 His father, Ramojirao Gaekwad was a police constable and his mother, Jijabai was a homemaker. He was a very naughty kid in his childhood. 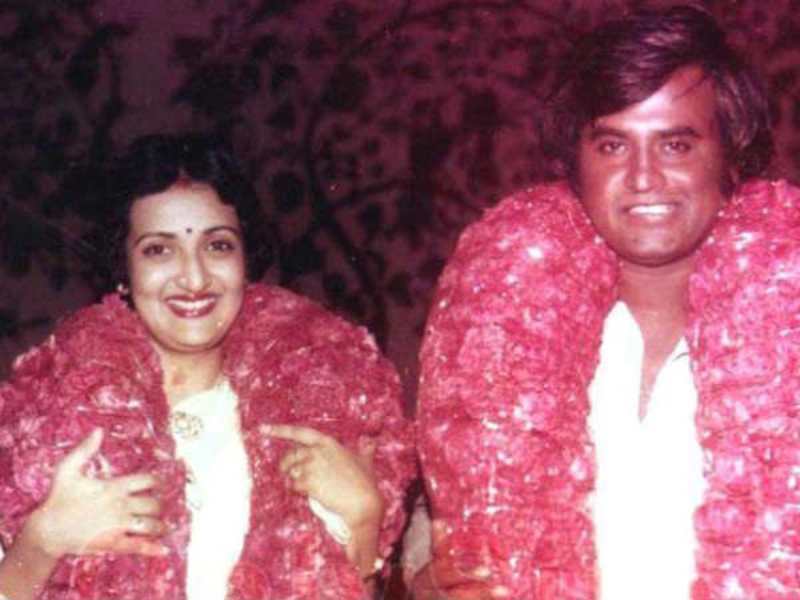 When he was just 8-years-old, his mother passed away, hence, Rajini was raised by his elder brothers and his father. 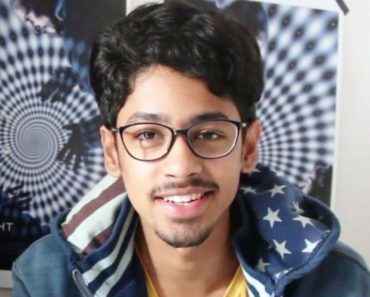 He has 3 siblings: 2 brothers, Satyanarayana Rao and Nageshwara Rao and 1 sister, Aswath Balubhai. It was when a team of girls came to take Rajini’s interview, he fell for Latha Parthasarathy (now, his wife) and proposed to her on the very same day. They got married on 26 February 1981 in Tirupati, Andhra Pradesh. 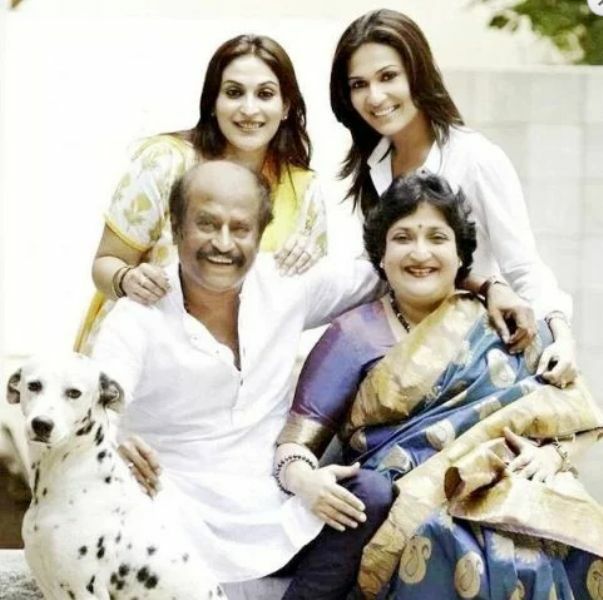 The duo together is blessed with two daughters named Aishwarya Rajinikanth and Soundarya Rajinikanth. Before he met Latha, he was in a relationship with the actress, Silk Smitha. The founder of Integral Yoga, Swami Satchidananda, was his spiritual guru. 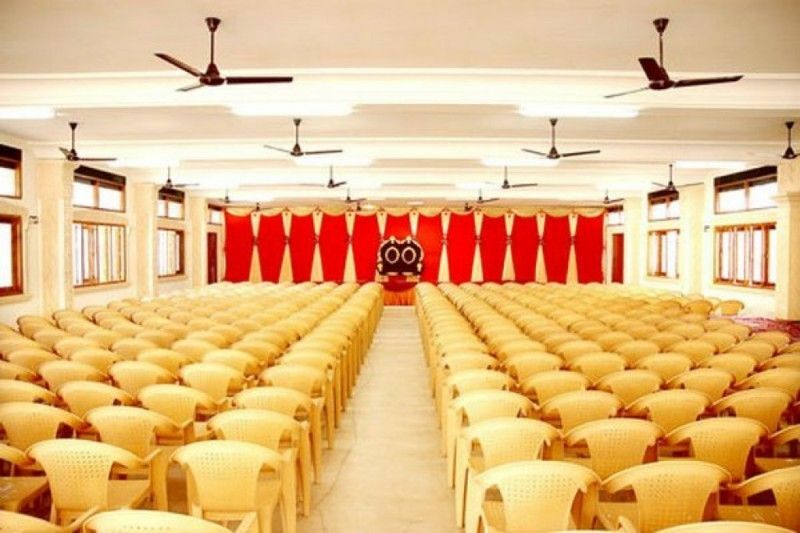 Rajinikanth did his schooling from Acharya Paathshala in Basavanagudi, Bangalore and Vivekananda Balaka Sangha school. 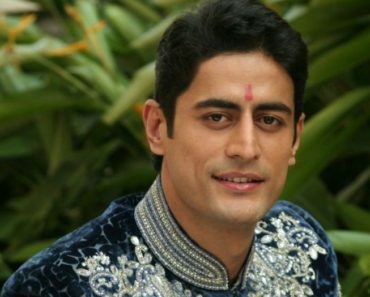 Before he became an actor, he did all sorts of jobs as that of a carpenter, a coolie, to earn a livelihood. He became a bus conductor at Bangalore Transport Service. 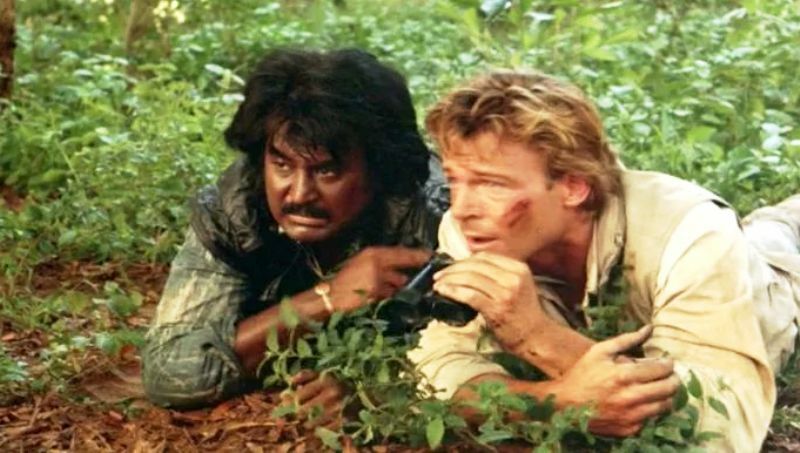 With the fund aid provided by a friend, Raj Bahadur, Rajinikanth joined the Madras Film Institute. 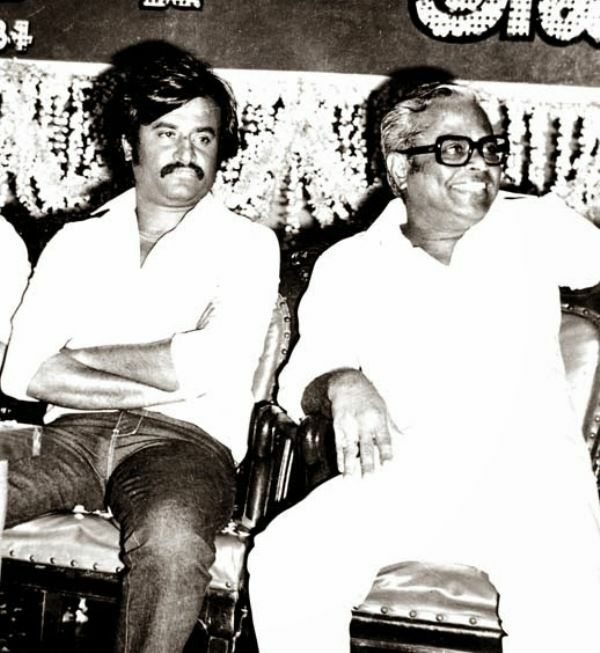 When he was performing at a stage play at Madras Film Institute, Rajini met the director, K Balachander, who offered him a role in his Tamil film. 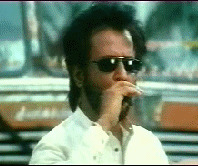 Rajini was not fluent in Tamil but in no time, he mastered the language. 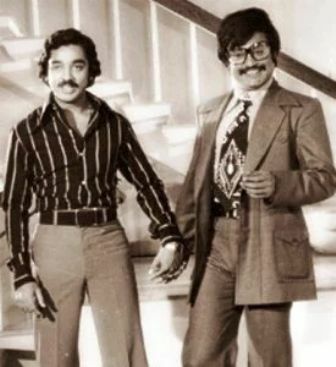 In 1975, Rajinikanth made his debut Tamil film, ‘Apoorva Raagangal‘ alongside the actor, Kamal Haasan. 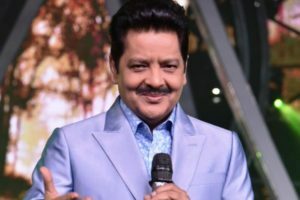 He was only recognized for negative roles in the first two years of his career until in 1977, he played the pivotal role in the Telugu film, ‘Chilakamma Cheppindi.‘ In 1980, he did the film, Billa (a remake of Amitabh Bachchan’s ‘Don, 1978) which went on to become his first commercial success. His film, ‘Raaja Chinna Roja‘ (1989) became the first animated Tamil film. ‘Thalapathi‘ (1991) was his only film that was released with a U/A certificate. Rajinikanth starring film, ‘Enthiran (a science fiction),’ was first offered to Kamal Hassan. In 2012, he was titled, the Most Influential Indian by Forbes India. 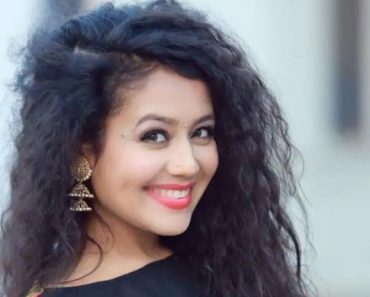 In 2011, he made a cameo appearance in Shah Rukh Khan starrer film, ‘Ra.One.‘ Meena is the only actress who has worked with him as a child actor and as his heroine. 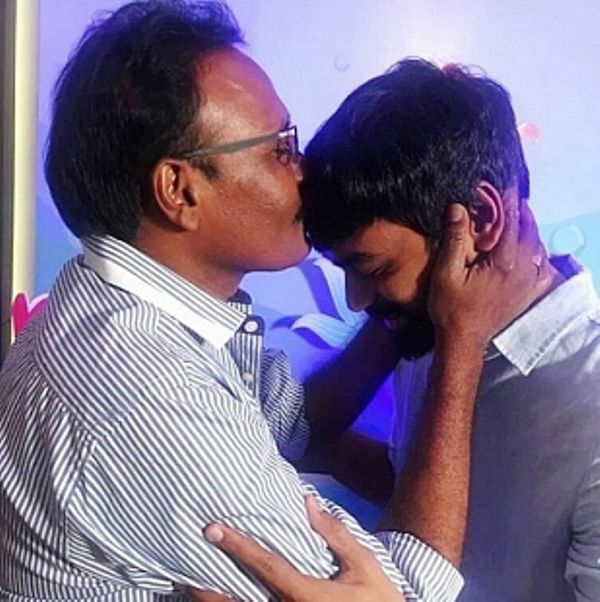 In 2015, a legal notice was sent to Rajinikanth from Madras High Court on a plea from a financier to take an action against the director, Kasthuri Raja, who is the father of actor Dhanush and a relative of Rajinikanth. 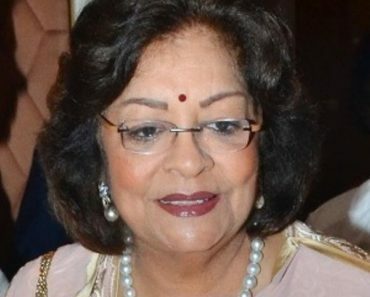 Since Kasthuri Raja took the money from the financier using Rajini’s name without his consent, the financier wanted justice through Rajinikanth’s side. 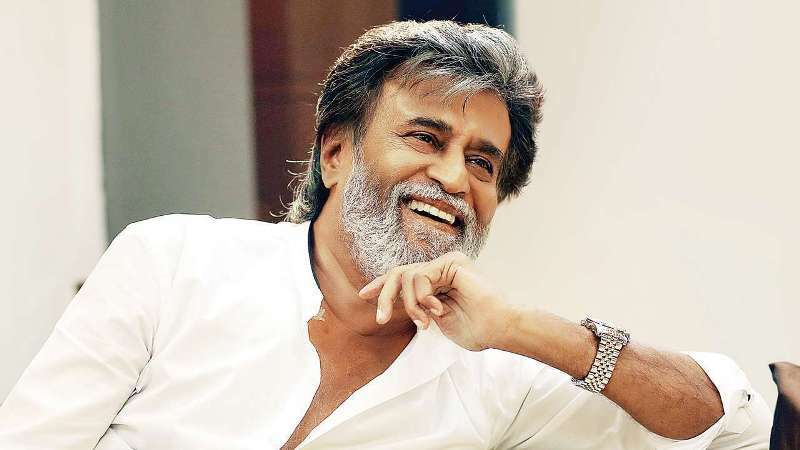 Pro-Tamils protested against Rajinikanth when in 2017, Lyca Productions announced that a housing scheme would be unveiled by Rajinikanth under his charity wing, ‘Gnanam Foundation‘ for displaced Tamils in Jaffna, Sri Lanka. His favourite dish is Masala Dosa. Thalaiva’s favourite actors are Amitabh Bachchan, Kamal Haasan, Sylvester Stallone, whereas, his favourite actresses are Rekha, Hema Malini. 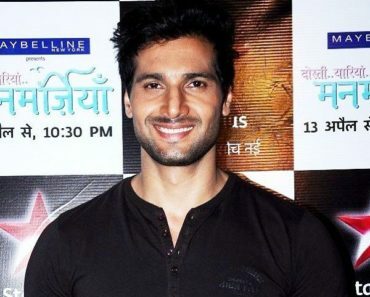 Kannada film, Veera Kesari, is his favourite film. 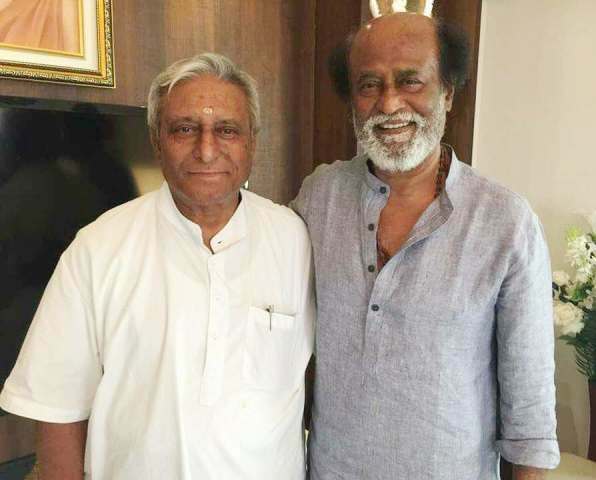 Rajinikanth admires the work of musician, Ilayaraja. 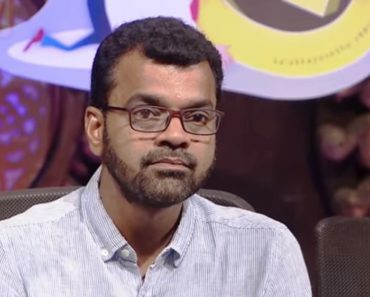 He is an avid reader and his favourite books are Ponniyin Selvan by Kalki and Amma Vanthal by T. Janakiraman. Lee Kuan Yew (Former Prime Minister of Singapore) is Rajini’s favourite politician. Rajini’s favourite social activist is Anna Hazare. Rajinikanth has quit on his smoking habit but he drinks alcohol. During his school days, Rajinikanth wanted to join a gang but being his seniors the gang members did not accept him. In order to impress them, he practised tossing his cigarette and later on, that’s how his famous style of tossing cigarette came into existence. 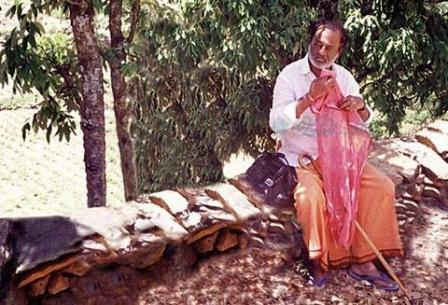 Since 1995, he has been going to the Himalayas after the completion of his every film. He doesn’t meet people after 9 pm. 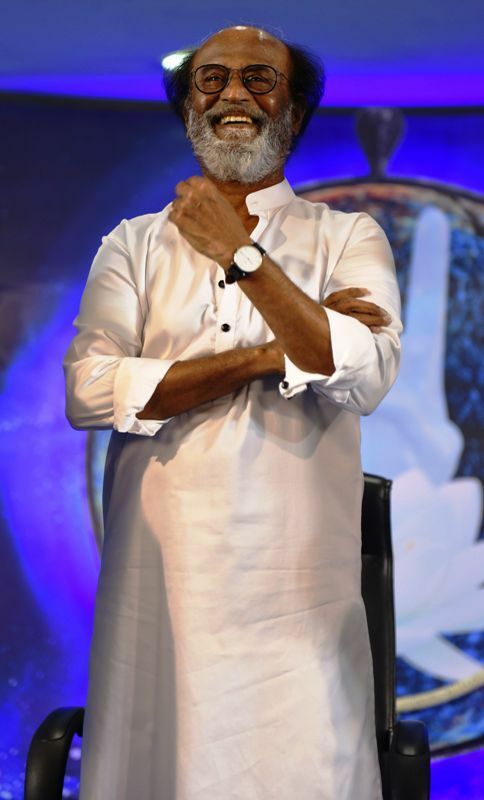 Rajini is known for his punctuality and reaches before time on his shooting venues. In South India, people worship him and consider him their God. Every year, his birthday (12th December) is celebrated as ‘World Style Day‘ or ‘International Style Day’ by his fans. He became the highest paid actor after Jackie Chan in Asia when he charged ₹26 crore for his film ‘Sivaji’ in 2007. 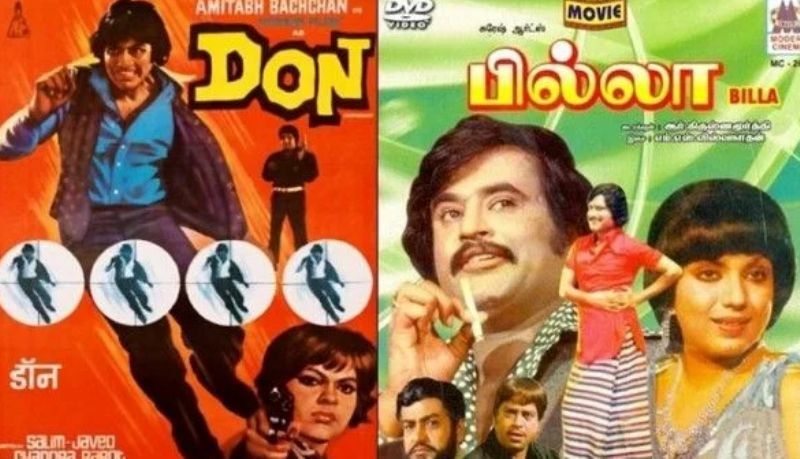 When his films, ‘Baba (2002)’ and ‘Kuselan (2008)’ failed miserably at the box office, Rajinikanth paid for the loss of his films distributors. 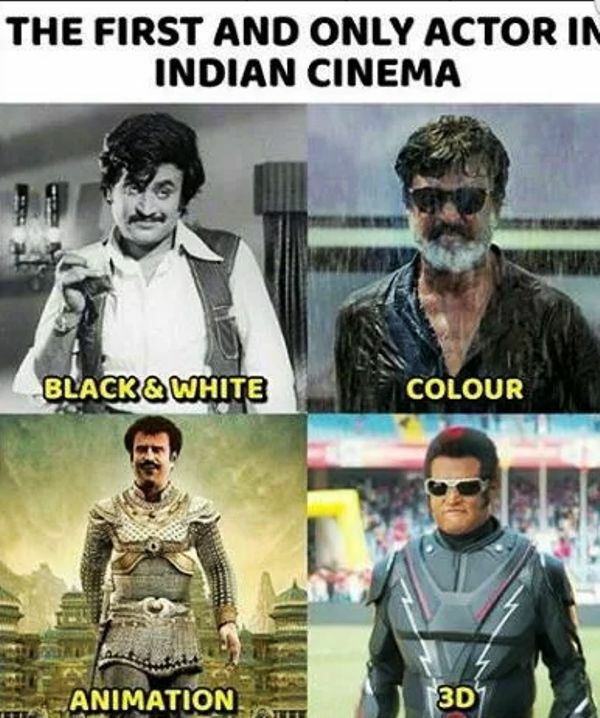 Rajinikanth is the first Indian actor to have worked in all 4 formats i.e. Black & White, Colour, Animation, and 3D, of filmmaking. Rajinikanth kept fast twice in his life in order to protest; first in 2002 against the Karnataka Government’s decision of not releasing water from the river Kaveri into Tamil Nadu and the second time in 2008; demanding the Sri Lankan government to end the civil war and give Sri Lankan Tamils their rights. He supported the social activist, Anna Hazare, in his anti-corruption movement and gave him his marriage hall, ‘Raghavendra Kalyana Mandapam’ so that Anna could execute all the social activities easily.